How do you decide what books to read? Read a blog post by Ken Guenther on this topic. A weekly book review (Book Look) on mission topics is provided by Missio Nexus for any members who have created a profile on the Missio Nexus website. These book reviews are provided courtesy of The Billy Graham Center at Wheaton College and Evangelical Missions Quarterly. Leader's Edge Book Summary. "Missio Nexus’ leadership thoughtfully summarize books, giving you the Leader’s Edge to help inform, stimulate and provoke profitable discussion. A monthly email includes a link to one book in each of three categories: Leadership, Mission/Ministry and Spiritual Formation. "In addition to a 75-word summary, each edition of Leader’s Edge unpacks the best information including the best chapter, the best quotes, the best illustration, the best idea and the best take away. Mary Lou's Reviews - a blog and book review service for people working cross-culturally. The purpose of this service is to provide weekly Christian resources for spiritual depth and intellectual vigor based on a different book each week. There is a sound bite to consider each week and a brief review that summarizes the book’s highlights. Books are chosen in the areas of global concerns, cross-cultural work, discipleship and spiritual formation. They are recent books, most published since 2008. The purpose of the service is to keep you current with literature in your field without having to read each book. The reviewer is Dr. M.L. Codman-Wilson, a veteran of cross-cultural ministry and a professional both academically and practically in international teaching and mission outreach. She currently works with TEAM’s Lifelong Learning Center. If you are interested in being added to the weekly sound bite and review list, contact mlcodman@aol.com. Ministering Cross-Culturally: An Incarnational Model for Personal Relationships by Sherwood G. Lingenfelter and Marvin K. Mayers. This book's discussion on basic personal values is used in MOP. Don't Let the Goats Eat the Loquat Trees: The Adventures of an American Surgeon in Nepal by Thomas Hale. see books listed on Member Care page. Effective Intercultural Communication (Encountering Mission): A Christian Perspective by A. Scott Moreau, Evvy Hay Campbell, and Susan Greener. Reviewed by Gary Ridley on SEND U blog. Reaching and Teaching the Highland Quichuas: Ministry in Animistic Oral Contexts by M. David Sills. Reviewed by Gary Ridley. Reaching and Teaching: A Call to Great Commission Obedience by M. David Sills. Reviewed by Gary Ridley. Christ and Culture Revisited by D. A. Carson. Recommended by Frank Severn as a very good book on theology and culture. Niebuhr wrote his book "Christ and Culture" to the Western world. Carson interacts with this work and writes to a broader audience. Anthropological Insights for Missionaries by Paul G. Hiebert. What Is the Mission of the Church? by Kevin DeYoung and Greg Gilbert. Highly recommended and reviewed by Frank Severn. Well Connected: Releasing Power, Restoring Hope Through Kingdom Partnerships by Phill Butler. It will help you to think through issues of partnering with other missions or national organizations - why, how, is it worth it, etc. A free .PDF will be available at http://powerofconnecting.net/ "sometime soon" but the website is currently under construction. Biography of James Hudson Taylor by Dr. & Mrs. Howard Taylor. Recommended by Bruce Harris. A reading list compiled from the lists of two of our experienced workers for those preparing for Muslim ministries. See also on Engaging Unreached. When Helping Hurts: How to Alleviate Poverty Without Hurting the Poor . . . and Yourself by Steve Corbett and Brian Fikkert. Teaching Cross-Culturally: An Incarnational Model for Learning and Teaching by Judith and Sherwood Lingenfelter. Wondering how you will get these good books to your country? Consider purchasing the Amazon Kindle, and reading your books on it. Not only are digital books significantly cheaper, the shipping costs are non-existent, and you can carry your books with you wherever you go. But Amazon digital books can also be read on your computer (PC or Mac) or on your iPhone, Android Phone, IPad or Blackberry. 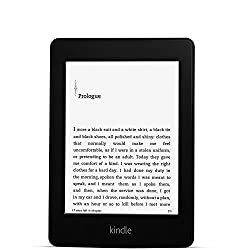 These Kindle applications are all free! Calibre is a great software program designed to manage all your e-books on your computer. Best of all, it is also free. It works great with the Kindle.